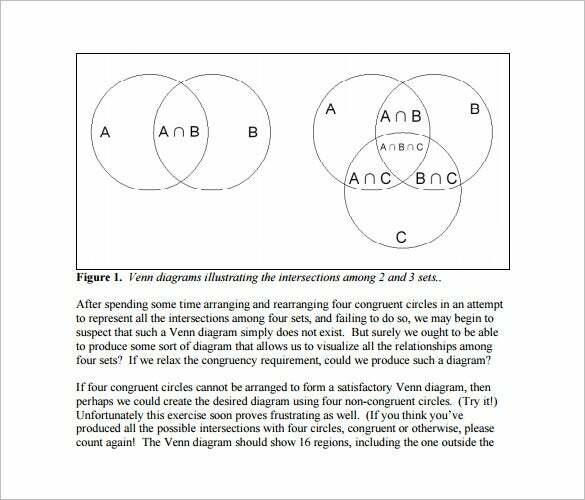 Download from our compilation of Free Venn diagrams which are available in word, excel and PDF formats. 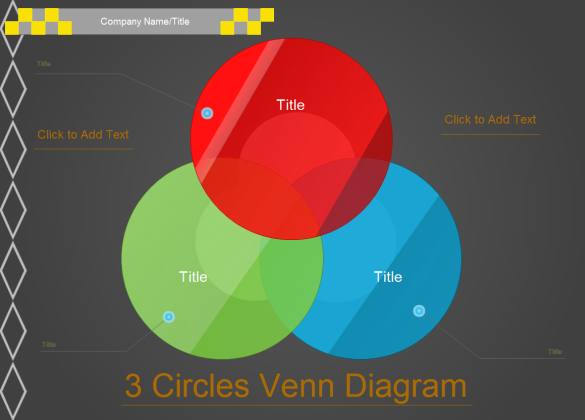 These templates will help you create high quality Venn diagrams instantly. 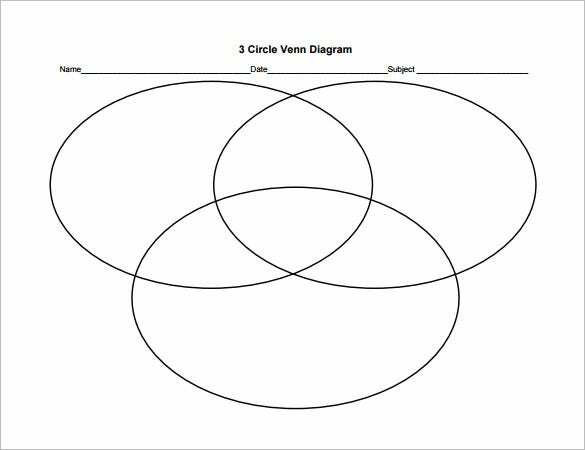 These Free Venn diagrams range from simple two circle diagrams to multi layered triple Venn diagrams. These templates are a very convenient choice as they save you lots of time and are free of cost. 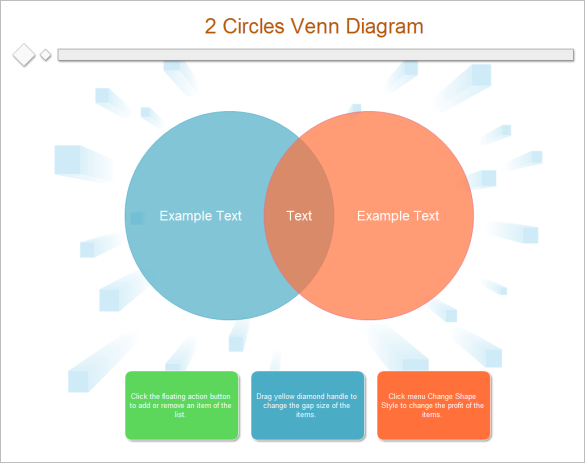 This three cycle venn diagram is suitable for comparing and contrasting three items from a common pool like a department.it is available in formats including PSD, XPS, PDF, PPT and Word. Download it now. brynmawr.edu This diagram template has both a two cycles and a three cycles set for comparing two and three items respectively. Download this now in XPS, Word, PDF, PSD or PPT formats. 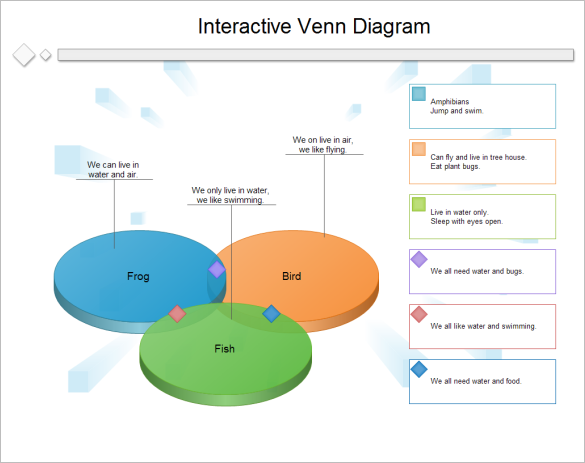 A very nice colorful diagram template for presenting three topics. The three cycles and the intersections have different colors with a label at the side. This template is available in PPT, PSD, PDF, XPS and Word. 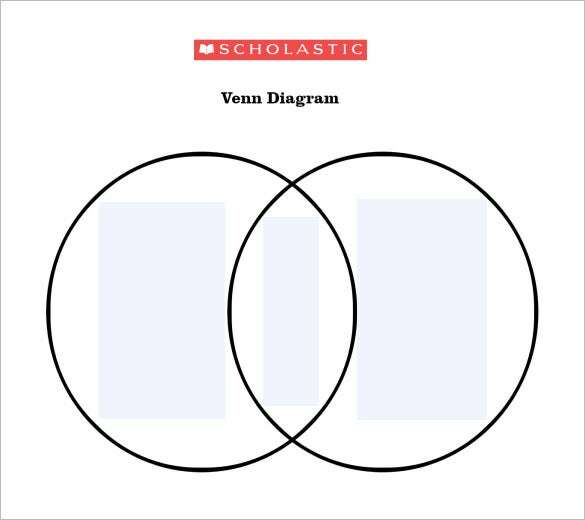 teacher.scholastic.com Made of two bold cycles, this venn diagram is simple and plain for any type of presentation. For school, corporate or personal use in comparing two items. It is available for download in Word, XPS, PSD, PPT and PDF formats. 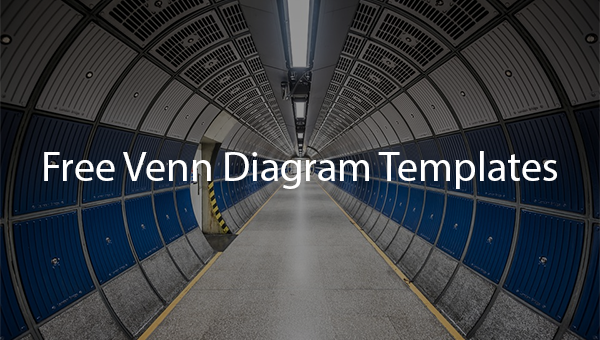 Download our 2 cycles diagram template for your presentation in formats like XPS, PPT, PSD, Word or PDF. It makes a colorful presentation with labels at the base explaining every sector or the diagram. creately.com Mad of three cycles, our venn diagram template can be used for a variety of school presentations. You can have three items compared and contrasted with the plain diagram. Download it today in PPT, PDF, XPS, PSD or Word format. This useful set of Venn diagram with three circles in bright blue, red and green colours can be used for a large variety of uses. You can easily customise it and make it ideally fit for presenting important data and information. Yet another set of Venn diagram coloured in pretty blue. You can use it for perfecting your data presentation with the aid of instruction file that clearly states how you may present all the needful info in this diagram. 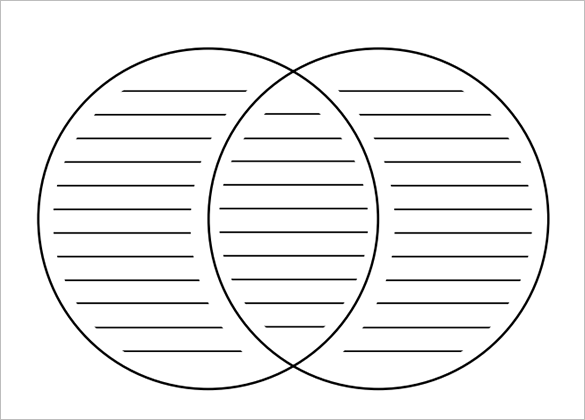 timvandevall.com Yet another set of plain venn diagram that’s sketched in black without the use of any colour. You can make use of it for teaching, representing data and creating a whole lot of things with little edits and customisations. 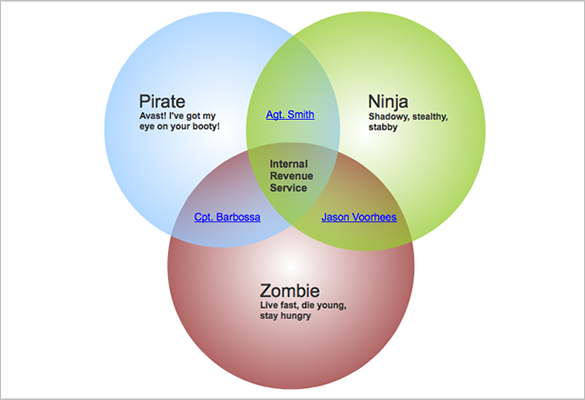 You may use these Free Venn diagram templates for multiple purposes. They make your presentation look more professional and they also prove to be handy tools for making kids understand theories and concepts in a fun way. Print them right away!